A nightmarish tale of love, betrayal and technological power from the multi-award winning makers of Translunar Paradise and Ballad of the Burning Star. Inspired by Edward Snowden’s revelations and state surveillance, Ad Infinitum conjures an Orwellian future where a totalitarian regime monitors the thoughts of its citizens through implants. 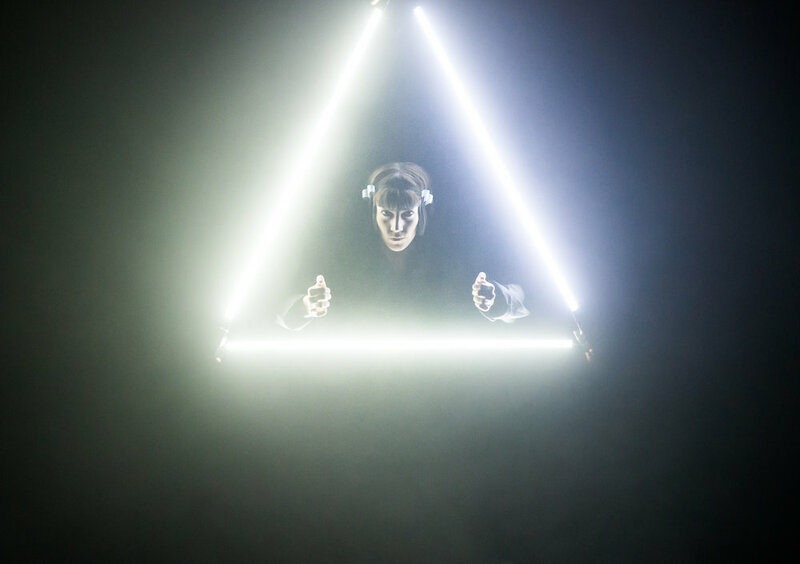 Blending anime-style storytelling and pulsating soundscapes, Light draws audiences into its sci-fi realm. Torchlight innovatively illuminates this wordless production set atmospherically in darkness. Light is a co-commission by the London International Mime Festival, produced in association with Redbridge Drama Centre and The Lowry, and supported by Arts Council England, and Theatre Bench.